People are hungry for more 24. FOX reports that in the first 24 hours, fans watched the 24: Legacy TV show trailer on Facebook, more than seven million times. It reached more than 10 million views, in less than two days. What’s more, we just checked. Right now, the counter shows over 14 million! Corey Hawkins, Miranda Otto, and Jimmy Smits lead the new iteration of this anti-terrorism drama. Teddy Sears, Dan Bucatinsky, Anna Diop, Ashley Thomas, Charlie Hofheimer, Coral Peña, and Sheila Vand also star. The two-night premiere kicks off Sunday, February 5th after Super Bowl LI, and Monday, February 6th. Watch “The Clock Resets” trailer, below. What do you think? How did you like the trailer? Are you excited for the 24: Legacy TV series premiere? Do you plan to check it out after the Super Bowl, on FOX? Let us know, below. More about: 24: Legacy, 24: Legacy: canceled or renewed?, FOX TV shows: canceled or renewed? 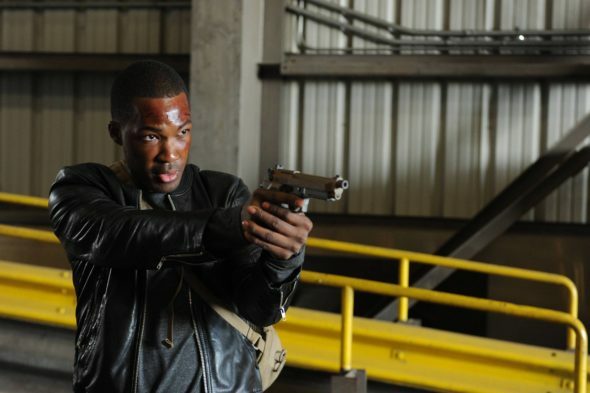 24: Legacy: Cancelled or Renewed for Season Two on FOX? 24: Legacy: Season Two; Would You Watch More of the FOX Series?